Update: Basically as I published this, the price went up to $13. That’s actually still a pretty good price for these bulbs, but obviously not as good as $10. Sorry! Full RGB Philips Hue bulbs can be fun in certain areas of your house, but you don’t need fancy light shows in, like, your bathroom or your closet. 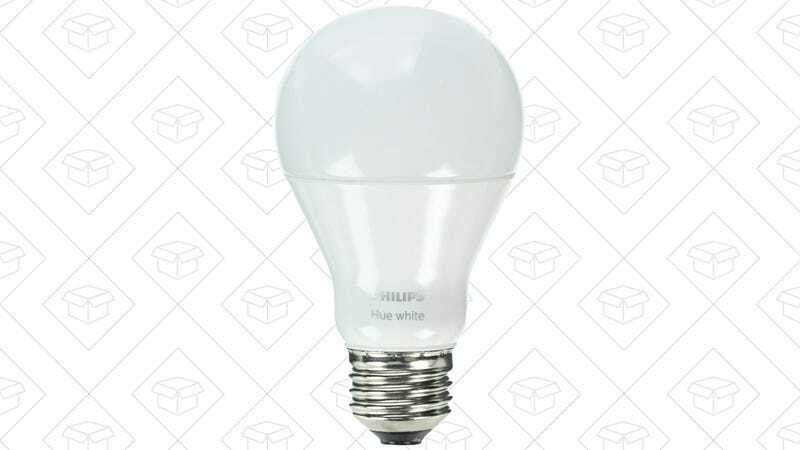 You just need lights, and now you can buy plain white Philips Hue bulbs for $10 each. As long as you already have a Hue Hub, these will still work with your smartphone, Alexa, Siri, and Google Assistant, they just won’t change colors.